What should happen when doctors say a woman could die if she does not have an abortion? A Virginia delegate and Gov. Ralph Northam sparked anger among anti-abortion activists with their answers. News4's Julie Carey reports. A fierce battle is being waged in Richmond and beyond over a Northern Virginia lawmaker's efforts to loosen restrictions in the state on third-trimester abortions. And Gov. Ralph Northam is drawing fire for defending the fellow Democrat in questions from News4's Julie Carey on WTOP's "Ask the Governor." A video of Del. Kathy Tran's testimony to a House committee on Monday went viral in conservative circles. Then, threats prompted Tran to take down her social media accounts. A minute-long video, taken from longer testimony, shows Tran explain her bill to loosen state rules on late-term abortions. Del. Todd Gilbert asks if, under her bill, an abortion could be done even when a woman is dilating, ready to give birth. "I'm asking if your bill allows that," Gilbert asks in the clip tweeted by the state House of Delegates Republican Caucus. "My bill would allow that. Yes," Tran replies. Anti-abortion activists seized on her answer, saying Tran wanted to legalize abortion to the point of birth. The Republican Party of Virginia labeled it "barbaric infanticide." Under Virginia law, third-trimester abortions are allowed but require consultation with three doctors who determine the woman could die or that her health would be "substantially and irremediably impaired" without the procedure. Tran’s bill would require just one doctor to sign off, among other changes. In an unprecedented moment on the House floor, the speaker left the dais on Tuesday to make a floor speech, promising to fight against abortion rights. He pointed to similar legislation recently passed in New York. "This bill will allow a mother who is showing physical signs of labor to get an abortion. We are really one small step from New York," Del. Kirk Cox said. The Democrats fired back, accusing Republicans of deliberately mischaracterizing the bill. "What transpired yesterday was wrong, and it's really beneath this body and unacceptable," Del. Eileen Filler-Corn said. 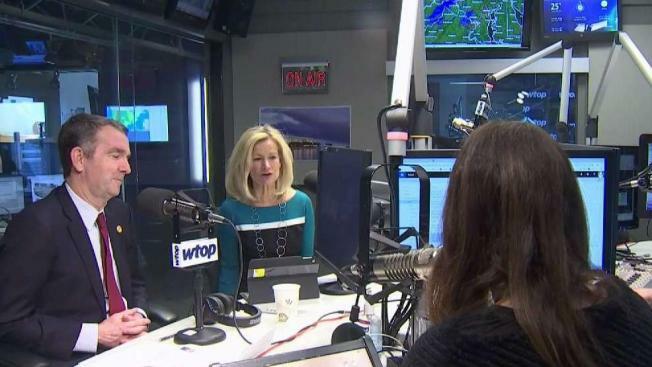 In comments on WTOP's "Ask the Governor" segment with News4's Julie Carey, Northam, a pediatric neurologist, said late-term abortions are only done in rare and very difficult situations. "This is why, Julie, that legislators — most of whom are men, by the way — shouldn't be telling a woman what she should and shouldn't be doing with her body," the governor said. Northam said he disagreed with a portion of the proposed bill: He said he thinks as least two doctors should consult on a late-term abortion decision. Florida Sen. Marco Rubio was one of several Republicans to denounce Northam's comments, tweeting that Northam is openly supporting legal infanticide. Tran called for legislators to leave medical decisions to women and their doctors. "We need to trust women to make their own healthcare decisions. These decisions are personal and private, and they are made in consultation with doctors who are using their best medical judgement," Tran said in a statement. "I regret that these partisan games have taken the focus away from where it should be: on the Virginian women who have asked for this bill to get politicians out of their private medical decisions." The Fairfax lawmaker, a mother of four, nursed her 1-year-old daughter on the House floor after she was sworn in last year with a wave of women. Tran's bill is done for this legislative session, after failing to get out of committee. The bill was proposed in past sessions and previously killed by the GOP-controlled committee.